I'm very aware that putting Paul McGann so high on a list of favorite Doctors is an untraditional choice. Having served in only one filmed adventure of the Doctor (although he has played the role a good deal in radio play productions of Doctor Who, produced by Big Finish Audio). However, it was seeing the Doctor Who TV movie that really kick started my more avid interest in Doctor Who. I had seen some of the classic Who before this on PBS, and always had a strong curiosity in the show, but my exposure was limited, since by the time I was old enough to really be interested in and understand the show, the classic series had already been cancelled (and the classic episodes were usually re-broadcast on PBS really late at night in the States, when young boys like me were in bed). So it was really the Paul McGann film that reignited that interest for me. Although I was disappointed at the time that they decided not to make McGann's portrayal a full blown series (but it may have been providential, considering how good the later series ended up being), it was this TV movie that put Doctor Who enough back on my radar to cause me to revisit some of the classic series (I ended up borrowing a number of videos from my friend Kristen Shirts a number of years later), and made me excited when the show re-started and was airing on the SyFy channel in the States. I was quick to jump on board at that point, before it became popular, and really dug my teeth into the vast universe of Doctor Who. And I have the TV movie to thank for keeping it in my consciousness. But, beyond the personal influence the film had on me, I also loved the Eighth Doctor as a character. Now the film, although serviceable, is not great cinema, nor one of the Doctor's best adventures. 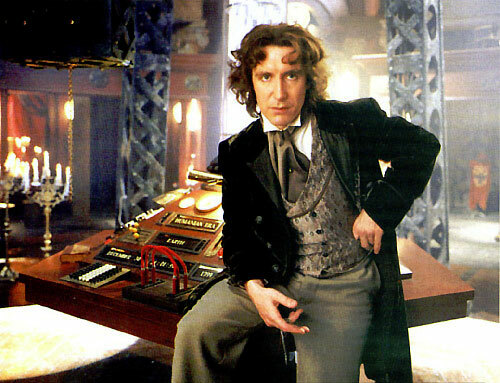 Despite that, however, McGann made an impression as the Doctor and played the part nimbly and with nuance. Gentlemanly, romantic, caring... he was the kind of person I personally wanted to be, plus the fact that he wore a 19th century costume makes him all the more appealing to my Victorian literature influenced tastes. In many ways the Eight Doctor was the precursor to the modern series, opening the Doctor to a more emotive, relatable, romantic persona. I've also begun to listen to his Big Finish Doctor Who radio shows and I'm very happy to see that the continuation of the Eighth Doctor's adventures are in capable hands with high quality writing that adds continued depth and complexity to the character. Whenever I think of Patrick Troughton's portrayal of the Second Doctor, I can't help but smile. It was the Second Doctor that Matt Smith drew a lot upon for his whimsical 11th Doctor, and it's easy to see why he was so attracted to this funny, early version of the Doctor. The Second Doctor had a very playful, affable persona, always taking strange things out of his pockets (bigger on the inside? ), playing his recorder, and bumbling and fumbling his way about. Much like the Fourth Doctor after him, this bumbling playacting would put his enemies off their guard and cause them to underestimate him, which was a huge mistake on their part, for behind the ridiculous pants and goofy behavior the Second Doctor had a keen, cunning intelligence. Yet despite that, the dark side of this Doctor didn't really seem to exist in a big way. He was one of the most caring of Doctors, genuinely protective and fond of his companions, much like a goofy, loving uncle. He was warm, kind, and yet surprisingly capable in a conflict. Clever, witty, and subversive, Sylvester McCoy's Seventh Doctor was the Doctor who was most prone to wear his intelligence on his sleeve. Almost impish in his persona, he has some of that trickster quality to him that other Doctors have exhibited, but was also less likely to play the fool like the Second and Fourth Doctors did (he had more of the 11th Doctor's direct, confrontational intensity that way). When facing his enemies, the Seventh Doctor was not shy to engage in intellectual and psychological warfare, and was quite ready to rub salt in the wound by insulting his enemies. Yet he did have a warm side as well, to counteract the caustic sarcasm, especially when it came to his young companion Ace. He and Ace shared an interesting teacher/student relationship, as Ace almost became a kind of protege during their time together. Yet Ace was no wilting violet either, as she made explosives and wielded a powered up baseball bat against the Daleks in battle. 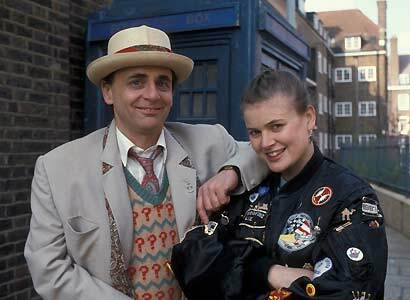 Violence was not out of the question for either of these characters when they were backed into a corner, although the Seventh Doctor tried to tone Ace down and reign in her more "explosive" tendencies. Despite (or perhaps because) of that, the Seventh Doctor and Ace were very loyal to each other. A dynamic duo, a formidable team that cared deeply about each other, but were not afraid to take on the world. With the first two parts done, I will round out the lower echelon of my Favorite Portrayals of Doctor Who list. Part Three can be found here.